Do you make a lot of meatballs? I not only use them in the traditional Spaghetti and Meatballs but also as appetizers, in sandwiches, dipped in hummus and even in an ambiguously Indian, sweet and sour style, dish. 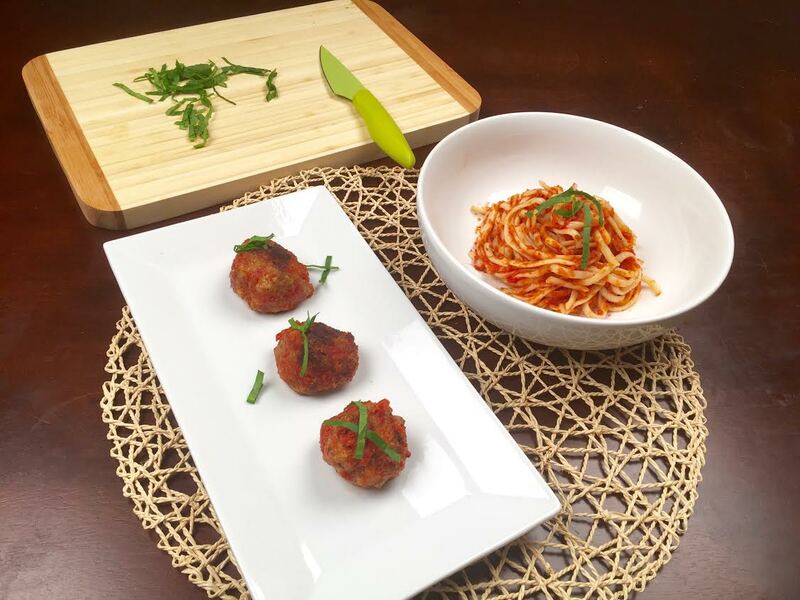 Meatballs are incredibly versatile and useful in deluding yourself that you haven’t eaten a pound of fatty, ground meats because they’re small and spherical-shaped. 1.) Pick your meats wisely – This is not a time to get diet-crazy. Get that nice, fat-injected bit of ground beef. 80/20 is generally the sweet spot. You could also just go for some ground chuck, which is usually at the 80/20 fat ratio anyhow. Furthermore, it would benefit you to mix meats. I always use half ground chuck and half ground pork. Depending on your recipe, you may substitute that ground pork with sweet, Italian sausage, hot sausage, ground veal, even some ground lamb! The mixture of specific meats ensures tastiness and moist meatballs. Moist meatballs. Moist. I love the word moist. 2.) Season Well – Do not skimp on the salt or any other seasonings you choose to put in. Italian meatballs lend themselves well to a fresh bit of sharp, salty, hard cheese like pecorino romano or parmigiano reggiano. Grate some in. Get the good stuff. 3.) Don’t Over-mix – Use your hands to mix. Don’t be afraid of raw meat. Use the best tool you have – your clean hands. However, when all is said and done – over-mixing your meat creates a tough meatball. Use some elbow grease but only until the meat is just combined. 4.) Soak Your Bread – Whether you use breadcrumbs, oats, semolina, torn pieces of stale bread – whatever you use, it’s best to let them soak in the milk you will use for your meatballs for a minute or two. This will hydrate the carbohydrates and make it easier to for the bread and the meat to be fully combined without over-mixing. 5.) Sear and Simmer -The searing of any meat allows the exterior to be caramelized, a little crusty and to seal in all the juices. A non-negotiable step for meatballs, in my book. Afterwards, no matter what sauce and/or glaze you use, it’s always best to let the meatballs finish cooking in them after you sear. There is a sort of two-way street of flavor borrowing that happens when you do this. The meatballs have time to soak up the sauce and the sauce has a chance to be permeated with the flavor of the meat. Hungry? Time for some meatballs! Mix all of your ingredients together in a large mixing bowl (keeping in mind the tips suggested above). Roll the meat mixture into small meatballs, about an inch in diameter and place onto a greased or non-stick baking sheet. Bake fore 20-25 minutes or until browned on the outside. Serve with hummus, baba ghannouj, and/or a nice yogurt sauce! Or, if you’re like me – eat them like popcorn until guilt from overeating overcomes you like a tidal wave. Next > Wednesday Wanderings – Are you awkward? I’m awkward. I try not to be. Daily Gluttony – I am good.